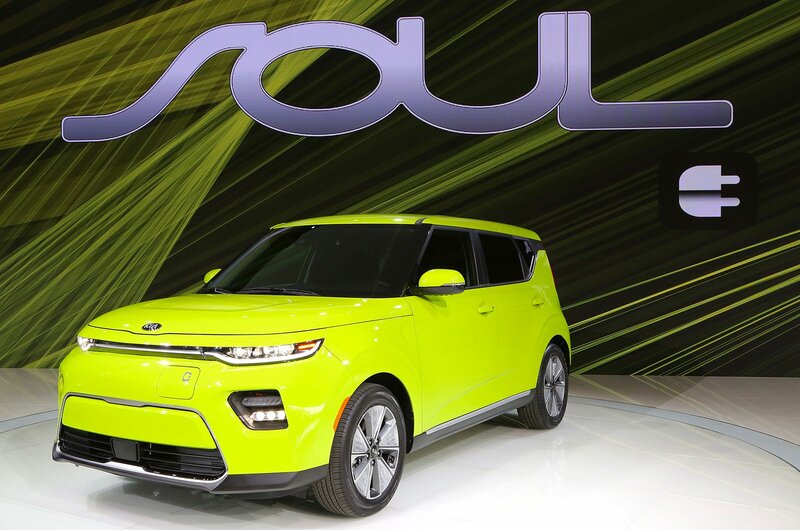 2019 Kia Soul EV – price, specs and release date | What Car? Treading the fine line between funky looks and being practical for families, the Kia Soul is a boxy small SUV which competes with small SUV rivals including the Nissan Juke, Renault Captur and the current class leader, Seat’s Arona. An all-new version has been revealed at the Los Angeles motor show, but in a sign of the times it will only go on sale in electric Soul EV form in the UK, with conventionally powered versions reserved for the US market. That means that as well as the small SUVs mentioned above, rivals also now include the Nissan Leaf and Hyundai Ioniq Electric. Described as being “just as quirky, fun-loving and crowd-pleasing as ever,” the new Soul EV is powered by a single electric motor developing 201bhp and 291lb ft of torque. There’s also new suspension designed to give the car more agile handling and a more comfortable ride – both are areas where the old Soul fell down next to key rivals. 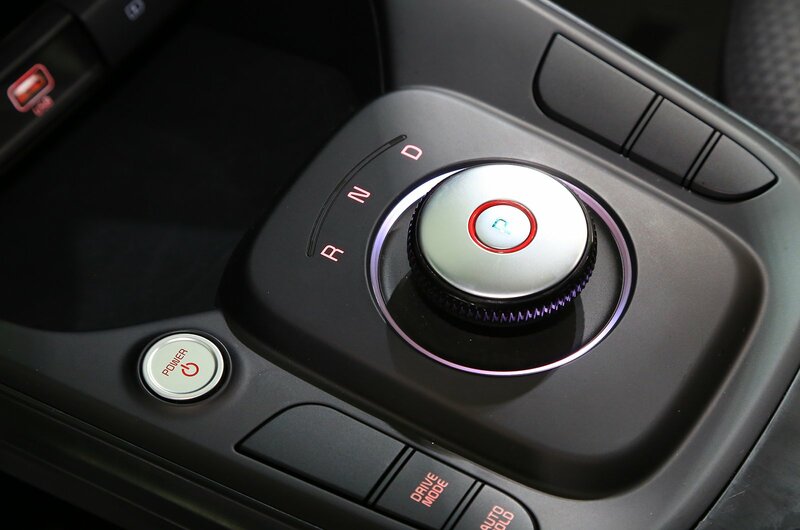 Drivers can choose from four different modes – Eco+, Eco, Comfort and Sport – which adjusts the accelerator response to potentially conserve energy, as well as adjusting the Soul’s climate control and regenerative braking settings. All of that could lead to you getting more miles out of each full charge, the same as hypermiling in a conventional car. Tesla won’t confirm the Soul EV’s range until early in the new year, but seeing as the car will use largely the same technology as Kia’s other electric car, the e-Niro, a real-world range of at least 200 miles is likely. Indeed, the e-Niro managed an impressive 253 miles on our Real Range tests. That will be well up on the old Soul EV, which could manage around 70 miles between charges in real-world conditions. 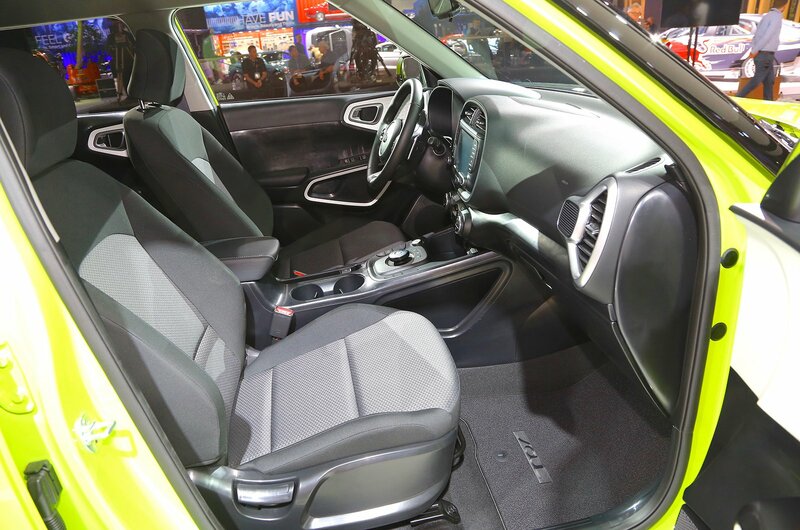 The previous Soul offered a spacious and well thought out interior, and the new Soul EV should be no different. Inside, there’s a new 10.25in touchscreen infotainment system with Apple CarPlay and Android Auto smartphone mirroring, plus a reversing camera. The old Soul EV’s chunky gear shifter has been replaced for a smaller rotary knob, too. 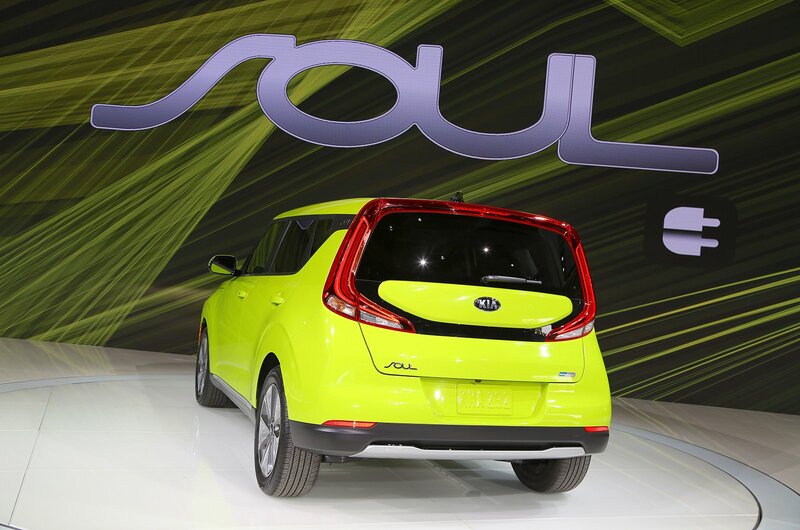 In terms of safety technology, as well as seven airbags the new Soul EV will come with automatic emergency braking, lane-keeping assistance and adaptive cruise control, although Kia has yet to say how much of that will be standard. Also on the options list will be wireless mobile phone charging, two-tone paint schemes and an upgraded stereo from Harman-Kardon. Pricing hasn’t been confirmed yet, but with the old Soul EV still priced at £30,495, a price tag of around £32,000 seems likely. That would place the new Soul EV into the same price point as the e-Niro, but the two models are intended to attact very different buyers – the e-Niro is seen as the practical, family friendly choice, while the Soul EV is more style-led. Remember, too, that both the Soul and e-Niro will qualify for the government's electric vehicle grant of £3500. Demand for electrified cars has surged in the last four years, with registrations increasing from around 3500 in 2013 to almost 119,000 in 2017. 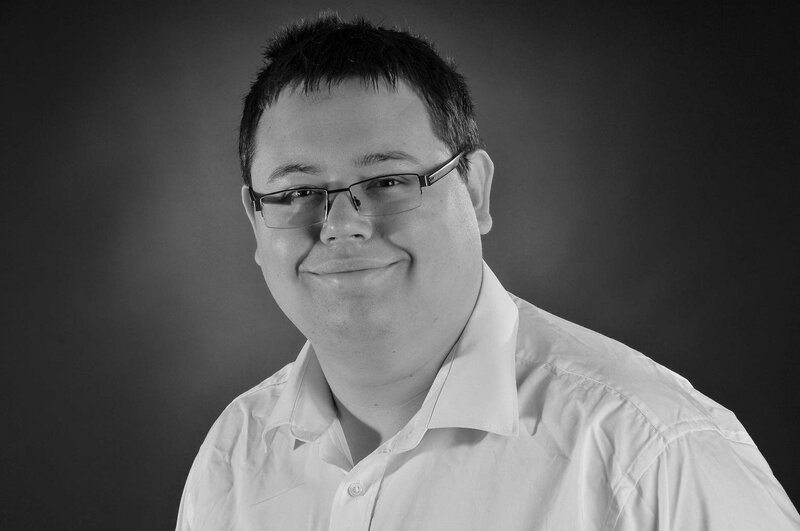 However, they still represented only 5.6% of the UK car market – and the majority of that was plug-in hybrids rather than fully electric models. In a first for production cars, buyers can opt to replace the conventional door mirrors with cameras that feed rear-view images on to small screens inside; the more compact cameras help to make the E-trom more aerodynamic. Meanwhile, other features designed to help it slip through the air include special 19in wheels and a smooth underside. The E-tron is expected to cost about £71,000, with the Government’s £3500 electric car grant taking that down to £66,500. 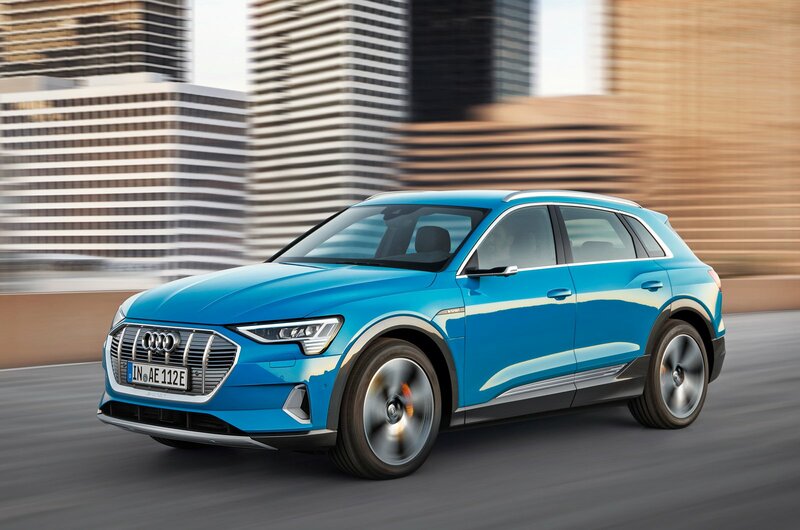 That means the E-tron will be slightly more expensive than both the I-Pace (£63,495) and EQC (an estimated £60,000).